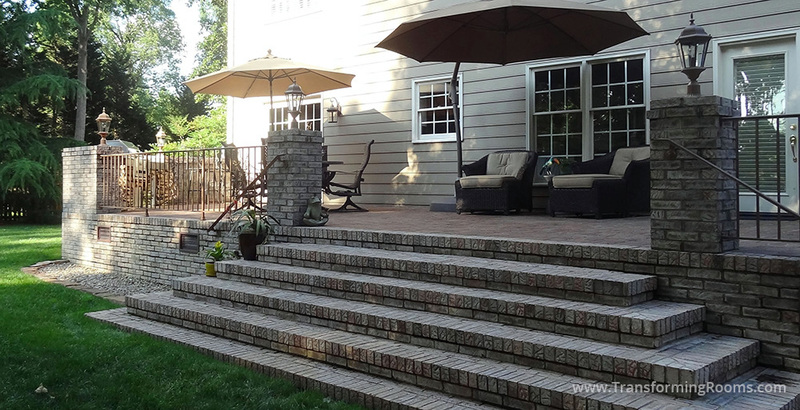 This patio has wide steps for a good reason! 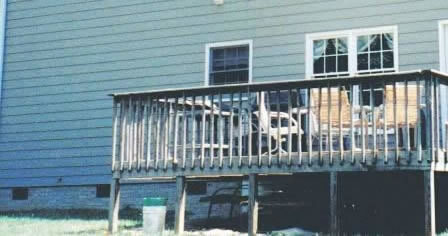 It allowed us to avoid railing which would have blocked views, (required by code). We styled a built in mini kitchen for this patio as well. Notice that by planning the brick columns in the early stages, we were able to add electrical lines for lights.